When you come in for your appointment we will ask you to read and sign a consent form, confirm aftercare requests and will take payment. 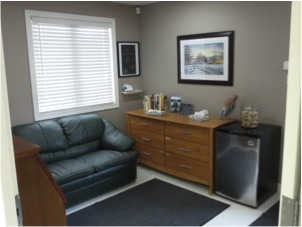 Once completed we will guide you, your pet and any additional friends or family into our comfort room area where we encourage you get as comfortable as you like. Either the doctor or technician will then come in to sedate your pet (an injection under the skin). This takes about 15 minutes where ideally your pet will become more relaxed and subdued From there the doctor and technician will place an intravenous catheter into one of your pet’s leg vein prior to the injection being given. You are welcome to stay with your pet as long as you need to after the procedure is complete.